What, are you magic, Chloe? Someone around here has been dreaming big and aligning herself with making what she wants come true. In the Spring, there were not enough funds to make her college choice happen. but always, we are dealt the perfect hand! can allow the day to day to limit my awareness of all that is possible. but still, when the figures on paper don’t add up – I can forget. Chloe believed it was possible, and she lined herself up with making it happen. She also taught her mom a thing or two along the way. she has made college a happening. mega paperwork, and now, it appears, she has danced herself into a freshman year. I have learned in this process to TRUST. None of this moved forward with my worry. Nothing happened from my inability to see solutions. overcome with joy, gratitude and amazement for the gifts that wait for us to open them. 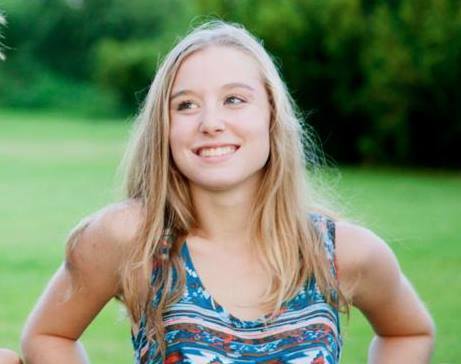 Yay, Chloe, the College of Charleston, Honors College, Biology Major, can-do, trusting girl! You teach me oodles, every day! Rabbits out of hats 🙂 xo! Brilliant! A lovely reminder of the countless threads that weave up to the Wall of Impossibility, into which they seem to vanish. You have to actually pick up one of those threads and pull on it, following it step by step, to see the wall is a mirage and the thread leads right through it. Ahhh, that Card Dealer. Always stacking the deck… This reminder came in handy today. Please thank your daughter for her contribution to the great rewriting of the world. Oh yes, this seems even more likely – this backing into worlds, living long moments and lives, and returning with no time lost; perhaps we even do this nightly, with the gentle falling off in sleep into realms of experience that gifts us with tidbits to bring back. You send me off into my day today with a nice, frozen snowball in my pocket on a summer day of possibilities! thank you!! the great rewriting of the world. there it is, marga. you must be magic, too! I really so feel such an intuitive consortium among us here – that our learning and sharing is adding to the whole, versus the small factor or one. One plus one here goes exponential fast – and pretty soon we are on mountaintops together, swirling into world we are creating together – I sound like a new agey hallmark card copywriter except for the actual altering of reality – magic without the tricks! of course! miracles are natural. Congrats Marga! That is fantastic. I wish her all the best in her studies. Woo hoo! I am so delighted to read this! Yes, this girl is amazing! Congratulations!!! Blink your eyes, and I will be reading of your transitions; cliche but true – it zips by! Thank you for sharing in some good growth with us! xo!! WTG Chloe! Yes she is magic, yes we are all magic. And like you Marga and Michael I also need to be reminded. The three videos helped me remember and I’m sitting at the table going yes! yes! yes! because I know the truth, have experienced the truth, but forget as I slide into the ‘real’ world that limits us in so many ways. I have restless leg syndrome and several years ago while Don and I were reading the Harry Potter series out loud to each other I became so steeped in the world of magic I began to believe in it. One night when my legs were particularly restless I suddenly had the thought to put a spell on them to keep them still. Worked like a charm! Literally, and immediately. My power of belief was that strong. The knowing that I can do this, that I can produce instant magic, didn’t stick though. I’m reading a book called ‘You are the placebo; making your mind matter’. It’s helping me a lot to drop into, and live from, even more, that place of knowing. And posts like this – exactly the message I needed to start my day. Thank you Marga, thank you Michael, thank you Chloe you little magician you! oh yeah. i forgot why i came back after i read michael’s comment, but now i remember. i loved discovering abraham hicks. listened to the law of attraction after your segment… and today my wife resigned her position. i sit here, gazing at the maple tree and quilts airing on the clotheslines and feel like i fell off the disk… in a good way… i think. Just had to chime in and express my gratitude to the Consortium. I didn’t realize I was a sleeper agent in this world until I read that. The obvious is always surprising. These threads that are being woven… they have that gracious, magical feel… The SheepMan would be proud. I am by turns humbled, awed, supported, known, heard… as if there are invisible threads and these WP wayposts are but the tip of an iceberg. Much love to all of you. Bit late to the party, but up at 7am this morning to send some quiet nothingness from the stream with the stellar jays behind my house out and on to the test taking rooms in life. This stunningly beautiful young woman and her mother just amaze…creating far in to the dream in so short a time. We are the architects of it all. How brilliant and beautiful the powerful creations of the creators in the world when we remember!!! Dream big or stay home 🙂 The world at your feet AND overhead! Congratulations Chloe. Welcome to the magic of dreaming big and making it real. FEEL it, see it, taste it, hear it, smell it and eventually you will touch the happening of it out in the living of your life. Trust. And take action. Ah, what’s the phrase? “Pray for good crops, then pick up the plow.” No, that’s not it, but hopefully I’ve come close enough. Thank you Chloe and marga – and congratulations!! !